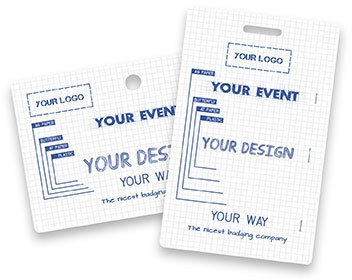 Our plastic credit card style badges can be printed in full colour, single or double sided and personalised. You can choose landscape or portrait depending on your branding. We can arrange for these badges to be recycled after use. Include returned badges with the on-site kit and we'll pass them to a certified recycling centre where they're used to make trays and paint pots. Holes or slots can be added to the badge for easy attachment. 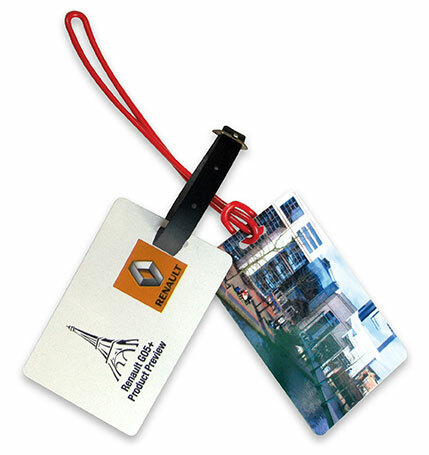 These badges are also ideal for luggage tags, we can supply luggage straps if required.